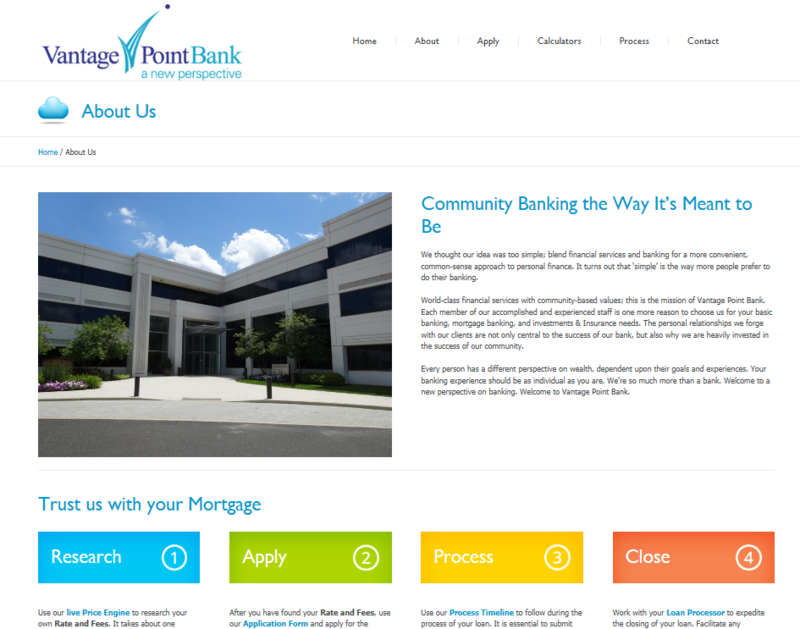 Featured as the Mortgage site for Vantage Point Bank. 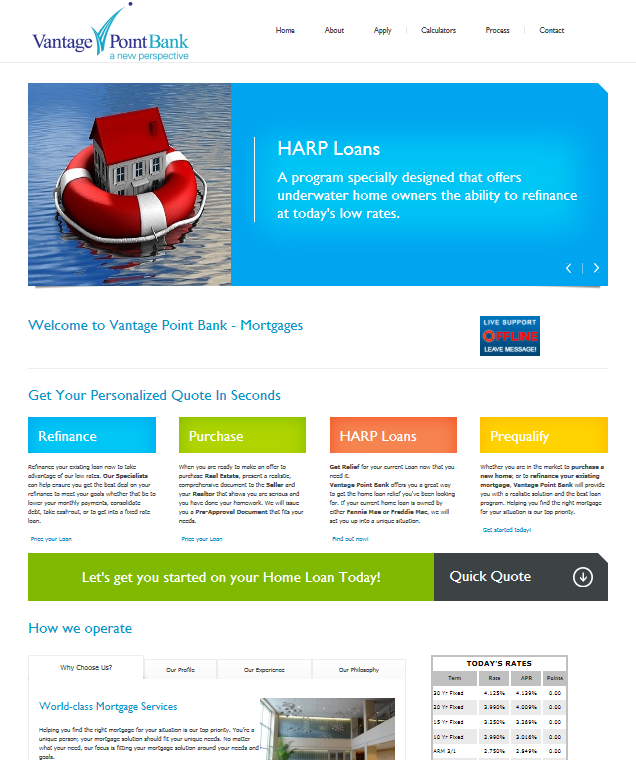 Web is secure using Deluxe SSL Certificate, as well as Loan Origination Software that fetches live XML feeds to produce live data. 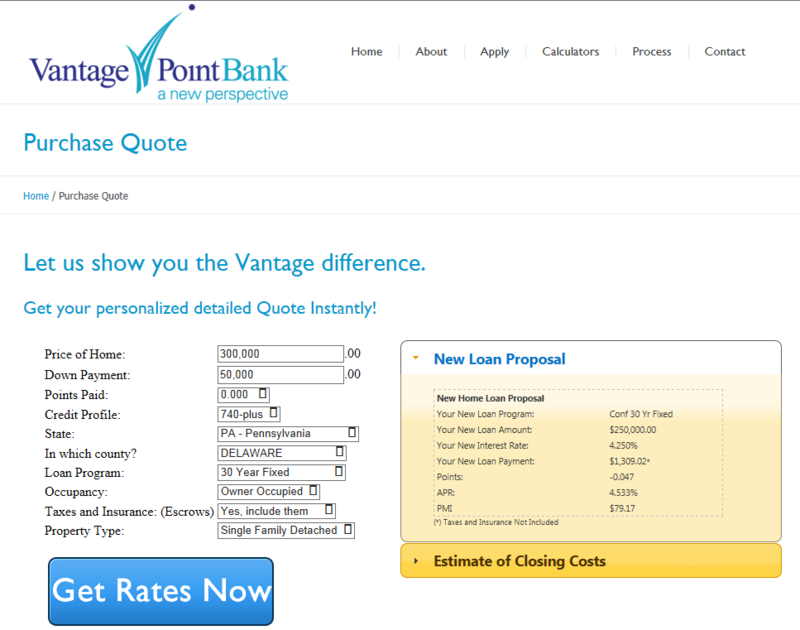 Site was integrated with a Lead aggregator system, Encompass 360, Mortech for live pricing, and a live chat console. It’s also enhanced by a Newsletter subscription service.